Brentford Football Club, its fans and partners have – with the support of Southampton FC – raised just over £23,000 to help the victims of the Grenfell Tower fire. Brentford played Southampton in a pre-season friendly at Griffin Park last Saturday, 22 July, and after agreement between the two clubs, it was announced that profits from ticket sales for the match would be donated to a fund to help those affected by the fire. Grenfell Tower is around four miles from Griffin Park and the fire would have had an impact on people with connections to Brentford. An attendance of 4,825 was recorded for the fixture – which ended in a 2-2 draw – and just over 1,500 tickets were sold to Southampton fans, who supported the fund-raising initiative. This meant almost £20,000 profit was generated from ticket sales for the fund. Fans and partners then chipped in to ensure the total donated – which is still being calculated due to final costs being confirmed – will be more than £23,000. Brentford fans shaking buckets collected just over £700 while Club Partner Utilita made a donation of £1,000. Curtis Sport, the Club’s Official Programme Supplier, donated £1 from every issue sold directly to the fund. Attendees purchased 708 copies of the new Brentford programme, which added to the final total. Advanced, who operate the Club’s ticketing website, waived their fees from the first 500 online transactions for the match, enabling a greater profit to be donated to the fund. And there was also a donation of £200 from Novotel, Brentford. Bees 50/50 – bees5050.com – also played its part. The Club’s half-time draw raised funds for the cause with Brentford Community Sports Trust donating the share it would have received – £500 – to the Grenfell Tower effort. The Club invited residents from the tower and surrounding area to the match as well as members of the emergency services that helped. Around 400 tickets were taken by police officers, firefighters, ambulance crew and doctors and their friends and family for the match. A donation from Carlsberg and Fullers enabled free drinks to be given to those invited guests. 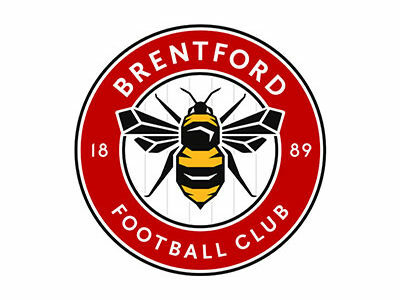 Mark Devlin, Brentford FC Chief Executive, said: “The Club was pleased to be able to play a small part in raising funds and providing some respite for both those directly affected by the disaster and our magnificent emergency services. The response from fans both in their attendance and in the further donations on matchday was overwhelming and they helped us to raise more than £20,000 in profits from ticket sales and bucket collections. I would also like to thank our Club partners – Utilita, Novotel, Brentford, Advanced and Curtis Sport for their support of the cause.